Yahshua declared, one shall be taken and the other shall be left behind. As it was in the days of Noah, so shall it be when the Lord returns. The ones taken are to be destroyed; we most definitely want to be left behind, to inherit the Kingdom on earth at His Second Coming. Yahshua made it very clear that after the tribulation He would gather all of the elect together. It would be unnecessary to gather the heavenly host if it were not for the fact that they also were to reign on earth with Him. After this great tribulation, we will receive a kingdom that cannot be moved (Rev 8:12; 9:2; Heb 12:28). The verses below from Isaiah speak of quite a different atmosphere on planet earth at His second coming. You may want to read this entire chapter as it paints an awesome picture of the future. There is no doubt that the Millennium, with Yahshua reigning, will involve quite a spectacular transformation. Also, it fulfills one of His promises (Mat 6:10). Isaiah 65:25 The wolf and the lamb shall feed together, and the lion shall eat straw like the bullock: and dust shall be the serpent’s meat. They shall not hurt nor destroy in all my holy mountain, saithYahweh. Satan is the god of this world, that is to be destroyed. How then can we put so much emphasis on the illusion of security, through the accumulation of material things that perish? 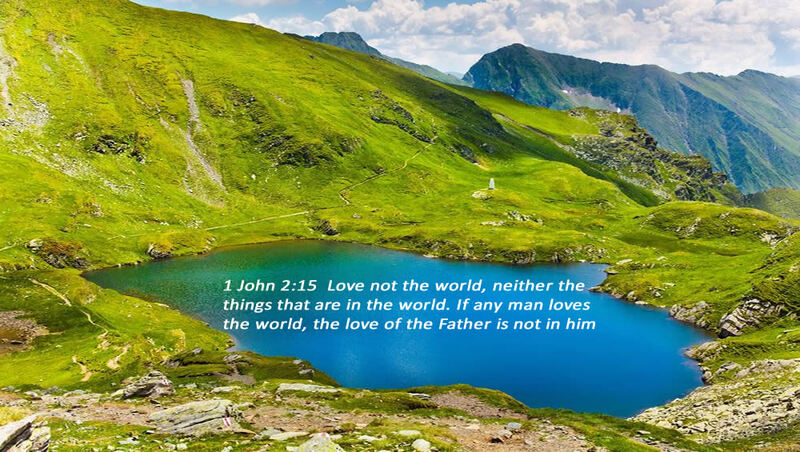 All who love this present world, and are not rich towards God will be taken, and will not inherit the new earth. The elect will inherit the restored earth and they will enjoy the fruits of their labor, peace instead of war, and joy instead of sorrow. One shall be taken to be destroyed, and the one representing God’s elect shall be left behind. We will be gathered together to meet Yahshua and all of the Saints that accompany Him. In the days of Noah, the earth was filled with violence, and all flesh was destroyed except for eight people. Upon Yahshua’s second coming, it will be as it was in the days of Lot and Noah; One shall be taken to inherit destruction. This is the unfortunate fate for all who have not found protection in Him. 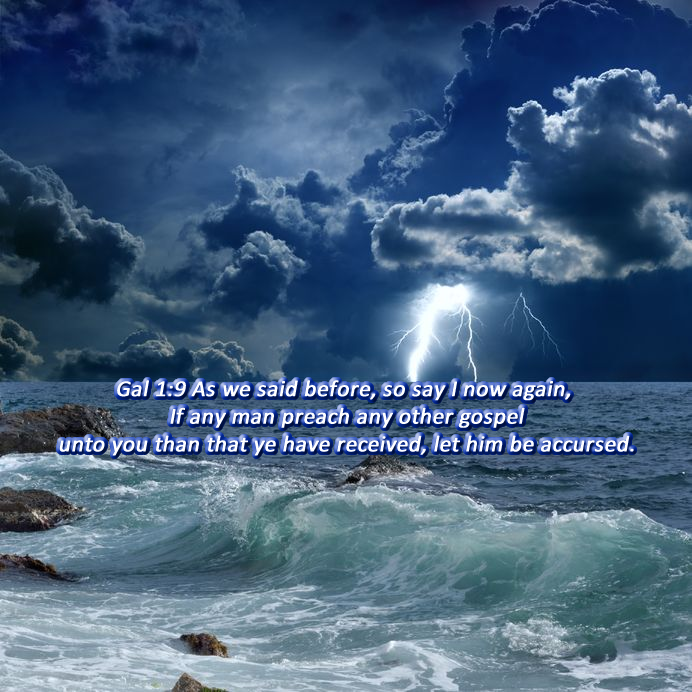 When Christ returns a second time, one shall be taken, but not to heaven. They are actually taken to Hell, to await the final judgment after His 1000 year reign. Those left behind will remain on earth. This is the exact opposite of what the pre-tribulation rapture movement teaches. It is simply amazing how many buy into this grievous fable. There is not one Bible verse that suggests we are ever to go up to heaven with resurrected bodies. This transformation happens at the last trumpet judgment when the Elect reign with Yahshua on a restored earth. When our inheritance or treasure is mentioned in association with Heaven, it always refers to one of two promises. The crown of righteousness which is our Salvation is the reward given to the Elect at Yahshua’s second coming. The New Jerusalem which comes down from Heaven represents our final dwelling place with Yahshua after His millennium reign on earth (1 Thes 4:15-17). The apostle Paul clearly points out that he will receive the crown of righteousness at the same time as all those that love Christ’s appearing do. This occurs upon Christ’s return to the earth. To imagine that one shall be taken to receive the reward of eternal life before the tribulation, while the apostle waits until the end of the tribulation for his is preposterous. Christ judges the living and the dead at His appearing and His earthly kingdom. If there is a pre-tribulation rapture then this group escapes the judgment which according to Scripture is impossible, as it is appointed unto man once to die and then the judgment (2 Tim 4:1; Heb 9:27-28). Now this ridiculous theory claims not only three separate earthly visits by Christ, but three separate judgments as well, one of which is a secret even to the group that propagates this fairy tale. Peter presents us with a message that the new age church does not want to talk about because they do not want to understand it. We will partake in Christ’s sufferings and are able to endure through the power of His Spirit that lives within us. However, this temporary pain does not compare to the eternal glory and joy to be experienced at His Second Coming. Judgment begins with or at the body of believers known as the church; there is no special escape clause expressed or implied. 1 Peter 4:17-18 For the time is come that judgment must begin at the house of God: and if it first begin at us, what shall the end be of them that obey not the gospel of God? And if the righteous scarcely be saved, where shall the ungodly and the sinner appear? So we ask those pre-tribulation rapture advocates a simple question. If the house of God is raptured away how then is it possible for judgment to begin there? If the righteous be scarcely saved what chance would the ungodly that are left behind have, with no discernment for the truth during the worst period of deception known to mankind? 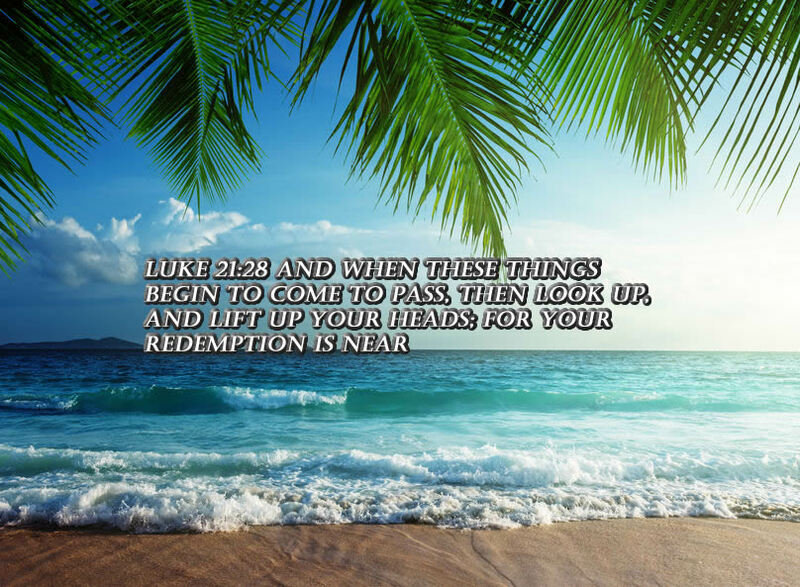 Luke 21:28 And when these things begin to come to pass,( the tribulation events) then look up, and lift up your heads; for your redemption (or salvation) draweth nigh. The Word of God will return to set in motion the first judgment and resurrection. Those that destroy the earth will be sent to Hell to await the lake of fire which is the final judgment. However, the promised reward is given to the Elect who will reign on earth with Yahshua. The prophets, Saints, and others are rewarded at this time, which most assuredly is at the end of the great tribulation period. Just as 2 Tim 4:1, destroys the pre-tribulation rapture doctrine, so too does this verse in Rev 11:18. A rapture or gathering of the church before this time is quite impossible, how could the prophets not be worthy of the same rewards of the church, that is supposedly taken away and transformed years before they are. Salvation at any time other than that of the second coming of Yahshua is also impossible. The reward for the righteous is Salvation, which just happens to occur when Yahshua returns (Isa 62:11; Col 3:24; Rev 22:12). Observe the logical progression here, one shall be taken, that is for sure, but it is not the Christians. Yahshua is revealed and He brings His angels with Him. If we were raptured and taken to Heaven there would be no need to bring the Angels and Saints to earth (1 Thes 3:13, Jude 1:14). Yahshua comes to be glorified in his Saints, but also with flaming fire as He takes vengeance on them that do not know Him (2 Thes 1:8). Yahshua must first come down from Heaven in order to gather His Elect, this does not represent two separate events, the proof of this is in the following verse. The day of Christ is in fact when He returns to gather us, one event that occurs during a single day. And it is evident that the day in which we are gathered, or caught up in Christ, does not occur until the Beast or anti-Christ is revealed. Well, there goes the possibility of escaping the Great Tribulation.